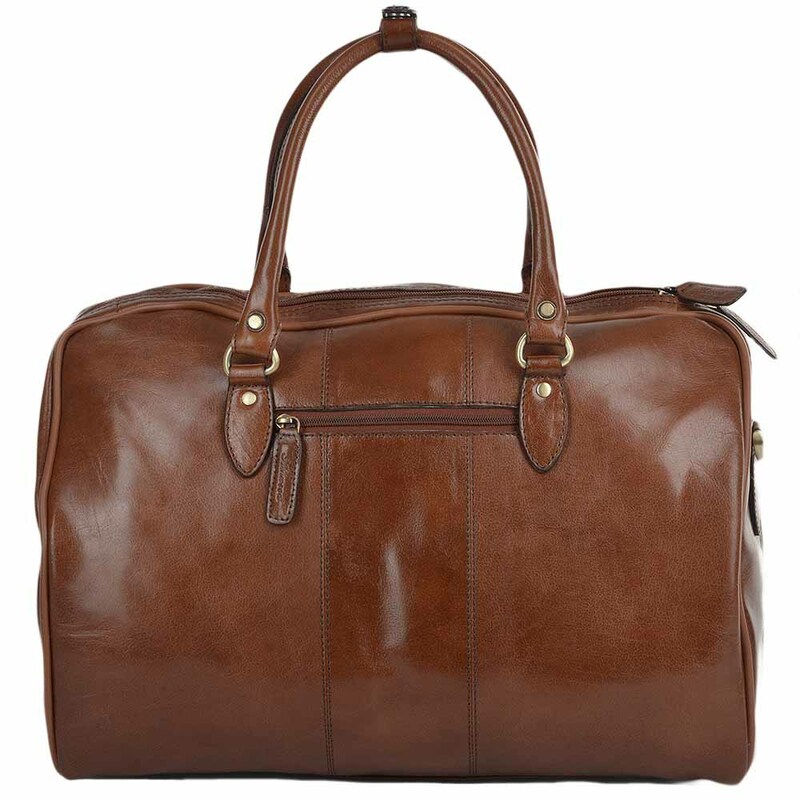 This beautifully crafted Ashwood leather holdall is ideal for all of your business leisure and travel needs. 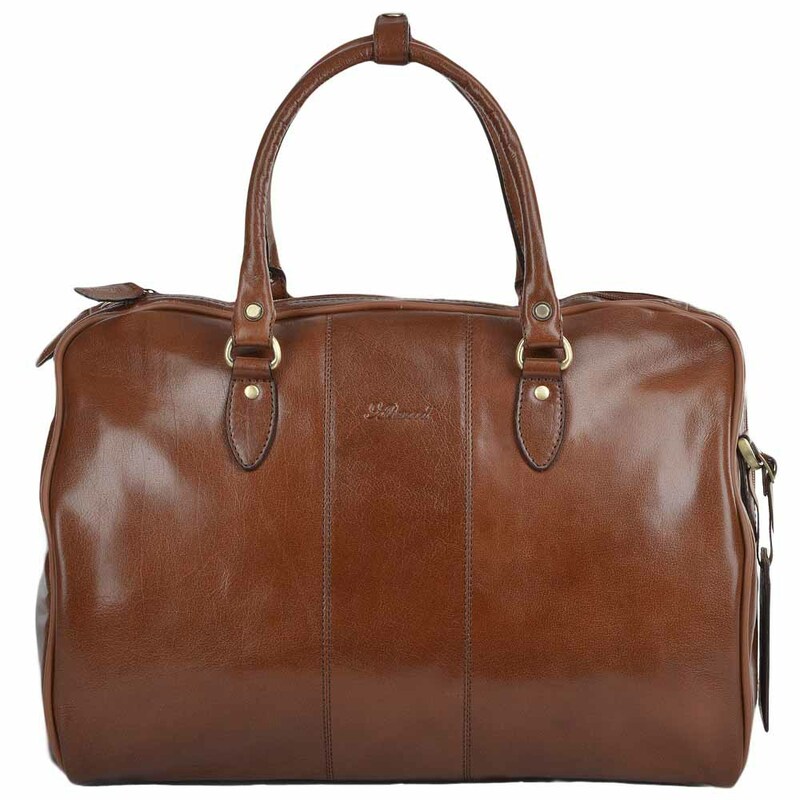 The natural cow tumble leather bag features an adjustable and removable carry strap small external zip pocket various internal pockets fully lined and the base has five metal studs to keep the leather from scuffing when rested on the floor. Dimensions (L) 44cm (H) 31cm (W) 26cm. 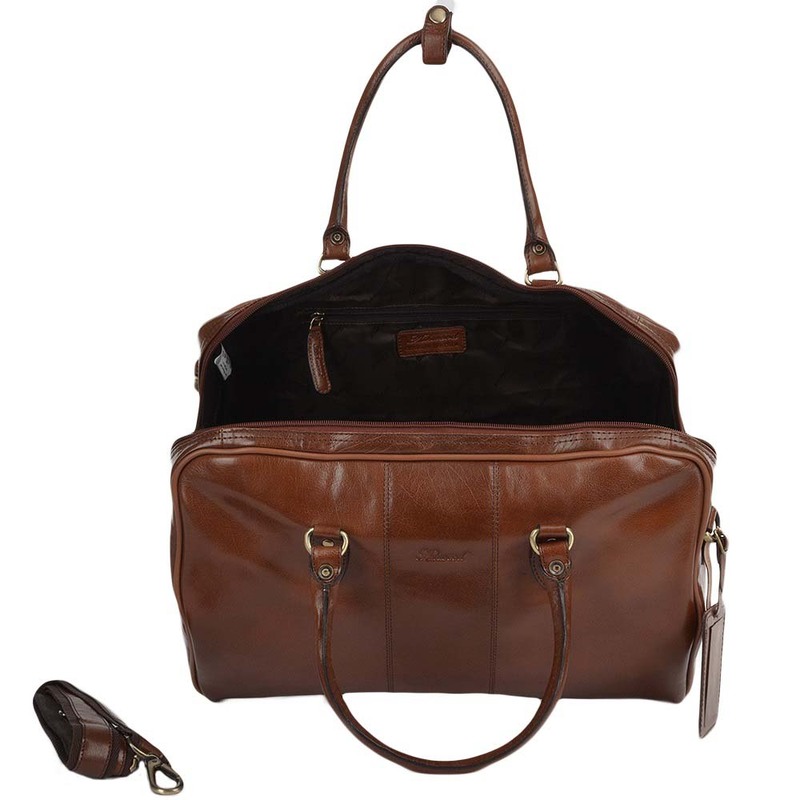 Shoulder Strap 129 cm.